From an office “down under” in Brooklyn, Sara Horowitz helps freelancers cope. He is not alone. His wife, a former attorney, is now a self-employed childbirth and parenting educator, and many of their friends have also joined the ranks of this labor demographic, officially classified as “contingent workers” by the federal Government Accountability Office. As of 2005 (the last time comprehensive data on this cohort were collected), the group represented about 31 percent of the labor pool: independent contractors, temporary workers, and anyone self-employed, as well as day laborers, part-timers, and those on-call. In today’s economy, some people say the cohort is increasing, as is employer demand for such services. 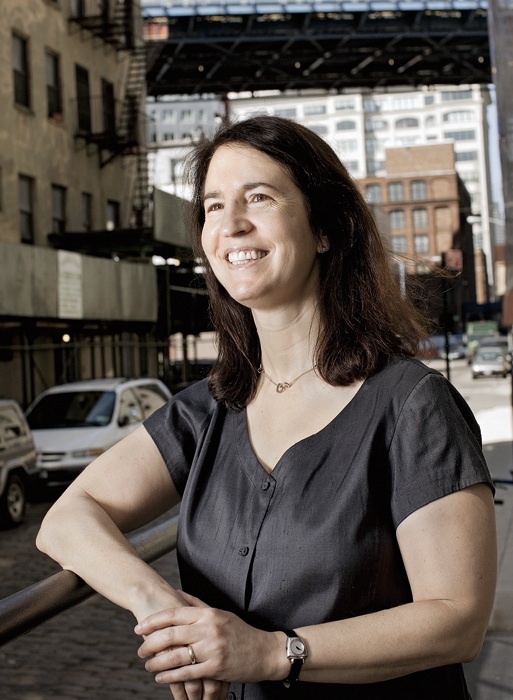 Labor advocate Sara Horowitz, M.P.A. ’95, saw the trend coming more than a decade ago and founded the national Freelancers Union to represent this disparate, nontraditional class of workers. The union’s headquarters sit in the DUMBO (Down Under the Manhattan Bridge) neighborhood of Brooklyn, where its open offices have the feel of a cooperative, social entrepreneurial venture--which is how Horowitz views the work of modern labor leaders. “We bring people together and solve problems around labor issues,” she says. She is quick to rebut arguments she’s heard that this is not a real union. Freelancers Union (it officially rejects the acronym FU) does not engage in collective bargaining for wages, for example; it also lacks the conventional structure of hierarchical elected officials, and has no single company, industry, or geographic nexus as its base. All this leaves Horowitz unfazed. “This new form of unionism is implementing traditional labor strategies of using the market power of large groups to help freelancers access better benefits, and it’s organizing this decentralized group into a constituency capable of powerful collective action,” she says. “Strength in numbers is strength in markets and strength in politics. The value of grouping hasn’t changed, but the way people are grouping themselves in today’s world--workforce and otherwise--is changing. “The new way of working is far more short-term, with people going from job to job, or doing several part-time jobs at once--especially among those over age 35,” she explains. “Most people these days will probably work as an independent contractor at least once during their careers”--whether taking on extra projects outside a salaried position, working part-time to balance family obligations or to earn more money in semi-retirement, or coping with layoffs and cutbacks through a temporary job. Horowitz supports the recent state and federal crackdowns on the continuing problem of misclassified workers: when companies hire individuals to do the jobs of regular employees but pay them neither benefits nor taxes. Some companies specify that freelancers will work only a certain number of months, making them ineligible for unemployment compensation. Horowitz has also seen workers who are true independent contractors take jobs through staffing agencies that treat them like employees--paying half of their Social Security, for example--but not necessarily providing benefits, which means the freelancers can’t take certain tax deductions, such as for health-insurance premiums. “It’s like the Wild West out there,” she says. To fill these gaps, Freelancers Union has its own insurance agency, retirement plan, and group discounts. It also provides networking, job listings, and informational events on legal issues, taxes, and marketing to its 138,000 members (85,000 of whom live in the New York City area). Membership is based on a “common work arrangement” (freelancing), and members choose from among 50 industries when they join. The top fields include television/film production, advertising, graphic design, computer/information technology, journalism, financial services, and healthcare/hospitals, but there are also dancers, taxicab drivers, and yoga instructors. Other unions may represent specific groups of freelancers, such as the National Writers Union, but Horowitz says no other organization represents as wide a range of freelancers, or promotes their interests as broadly. Horowitz has studied labor history extensively, earning degrees from Cornell’s School of Industrial and Labor Relations and SUNY-Buffalo Law School. After a stint as a public defender, she worked as an organizer with the National Health and Human Service Employees Union. Horowitz went to the Kennedy School, seeking an “intellectual sabbatical,” after five years as a labor lawyer. She had the seeds of an idea centered on the shifting workforce and outdated policies, and used faculty contacts and her academic work to develop her ideas about this niche labor force that had uneven incomes and lacked collective representation and solid governmental infrastructure. They had more in common with workers in cooperative models in developing countries, she realized, than with existing American unions, where wages and benefits are the primary focus. She also believed that the number-one issue for this disparate group was providing a new system of healthcare tied to the worker, not to an employer, through an independent, revenue-producing model. “I thought that if this was successful, it would be evidence that labor movements play an incredibly constructive role in building economic development,” she says. In 1996 she won a fellowship with Echoing Green (a New York City-based nonprofit that supports social entrepreneurship; see “A Prescription for Change,” September-October 2004, page 88) that helped support her work. So did the MacArthur Foundation Fellowship she was awarded in 1999.